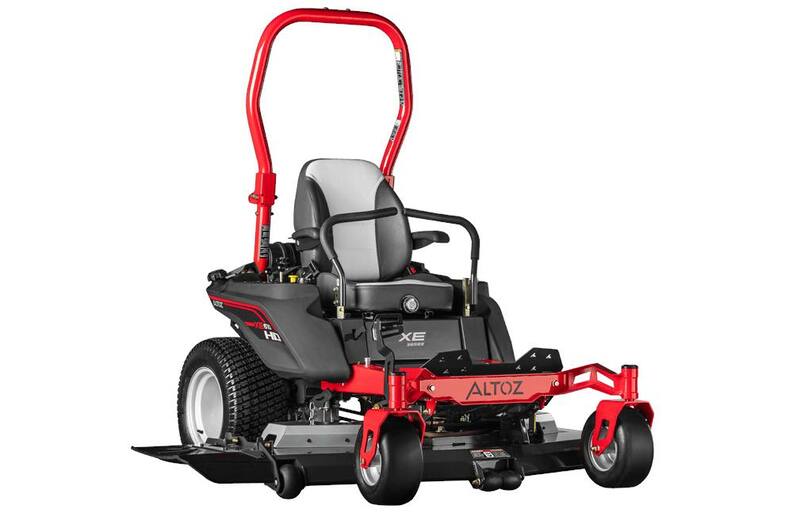 2018 Altoz XE 610 HD SSKawasaki for sale in Athens, AL. Haney Equipment Company Inc. Rugged Chassis: C-Channel frame rails with formed, laser-cut and welded heavy-gauge steel for maximum strength and rigidity. American Made Transmissions: Hydro-Gear® transmissions provide the best method of transferring power from the engine to the wheels for an unparalleled level of performance, handling and speed. Low Impact: 22 - 23 inch tires are designed to lessen terrain impact and provide a smoother ride. Rider Comfort: High back adjustable seat with arm rests and adjustable spring suspension. Fold-Away ROPS: Integrated design enhances the style and overall fit and function. Maintenance Free: Heat-dissipating aluminum deck spindle housings with sealed commercial bearings for strength and durability. Smooth Operation: The optional Altoz Independent Front Suspension (IFS) smooths out rough terrain for superb comfort and control. Increased Visibility: Low profile front frame viewport allows for improved operator sight. 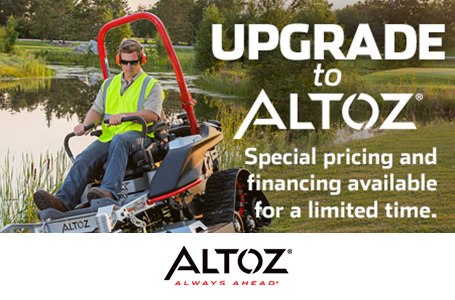 Altoz Blades: Designed for superior grass processing whether you are mulching, side discharging or bagging. 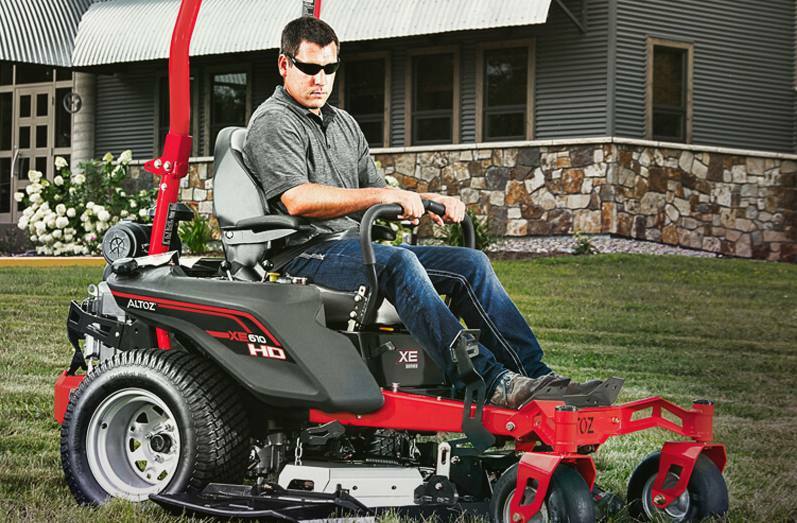 Extended Operation: 10 gallon fuel capacity provides extended cutting time. Cut Height (Min - Max): 1.5" - 4.5"
Front: 13 in. ; Rear: 23 in.